Do you have an Ikea near your house? 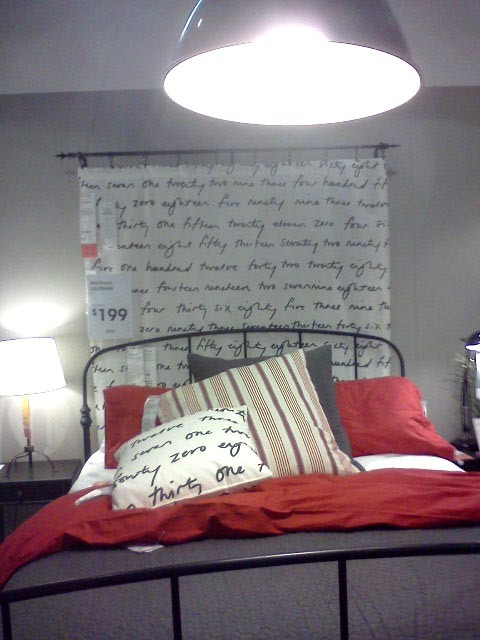 I LOVE walking around Ikea and pretending I live there. Really. So many rooms. So little time. 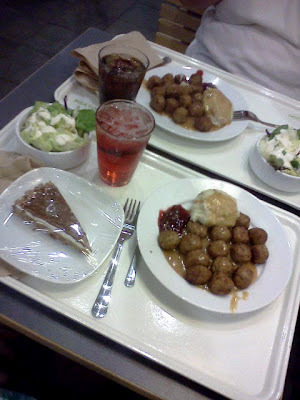 A few weeks ago my sis and I took an afternoon and went out to Ikea. It really is a day trip. We dread the thoughts of south-end traffic, but we were willing to brave it for the decor. And the meatballs. Don't get me started about the Swedish meatballs. So off we went, to our home away from home, to see what we could see. I love the writing pattern on these drapes and pillow case. It's just a bunch of numbers written out. Why is it cool? I don't know, but it is. I fell in love with these meshy-polkadot-curtains the minute I saw them (pinned them but it's not as easy to tell what they look like). 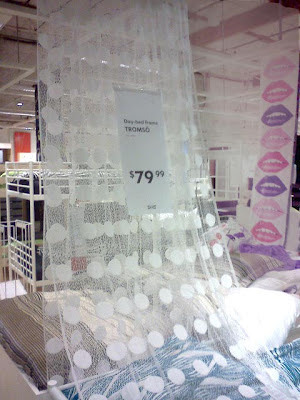 I wanted them to go over the top of my current plain khaki curtains in the bedroom, to give them some style and texture. I'm going to see if I can make something similar. I stood and daydreamed a while in front of this amazing ocean wave canvas. I pictured myself on a white sandy beach in Maui, with the warm ocean breeze blowing sweetly through my hair...And then I remembered I was still in Ikea. Love the canvas. 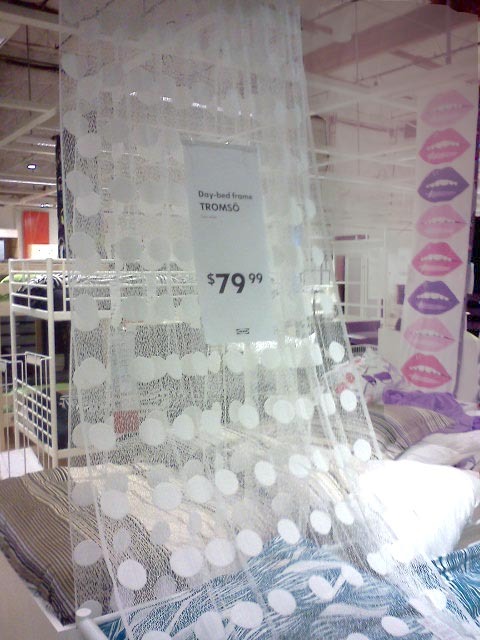 And would love it in my room. Even if it is in the suburbs. I also love these white cubes for shelving. We don't have room for them in our small apartment, but I can love them anyway. I also daydreamed about getting a new couch. Our current couch is very uncomfortable. We stuffed foam underneath the cushions to make it softer, but now the cushions look like their ready for take-off. 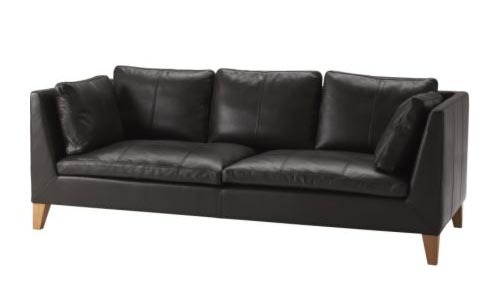 I like the clean look of this pseudo "leather" couch (says it's made from artificial leather parts. Sounds a little creepy). This one's about $400 and pretty uncomfortable. I like the steel legs, letting light wrap around and under the couch. I learned that trick from Nate Berkus for decorating small spaces. These next two are similar in style and I believe they are actual leather. I like the design. This one's just over $900. and this one's just over $1,500 and has a chaise lounge...my favorite. Makes me want to do some serious lounging. And last but not least, this couch was about $1,500 too. Looks comfy doesn't it? Speaking of couches, I'm going to need a big old couch to lay down on after I show you what we ate. Enter: Death by meatballs. Wow. We look like such pigs. You seriously order like this, "I'd like the 15 meatball plate please". a.k.a. "I'd like to eat enough meatballs to feed a family of 5 please." 15 meatballs?! Who eats 15 meatballs at one meal? Obviously me, my sister, and every other Swedish meatball addict in the place. I'm still embarrassed to say it out loud. PLUS, they give you the option of adding additional meatballs to your troff. I'm guessing families share it? Do I count as a family? P.S. Wanna know what I came home with, after all that browsing? 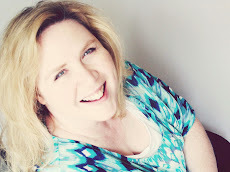 Thanks for stopping by posedperfection.blogspot.com for a visit. I appreciate the comment you left about the cloudy glasses. I hope the vinegar trick works for you too. I am now your newest follower. I hope you'll come back and click on my "Follow Me" button to add Posed Perfection to your GFC. Have a blessed week! Love Ikea! What's really crazy to me is as much as I love it there I never thought to sit down and eat. Their meatballs look good. I usually just settle for an ice cream cone on the way out! Thanks for sharing your day. Oh you do need to try their meatballs. You'll be hooked! :) Thanks for stopping by Brandi! i love me a good trip to ikea. but with pearce i usually have to skip the showroom :( and stay on the downstairs level - but browsing frames, art, linens, and plants. and i wish i was a meatball person, b/c i've heard these are really good!! maybe i should just give it a try. with that price i don't have much to lose! Dill Vinaigrette Dressing Recipe: Make your own!